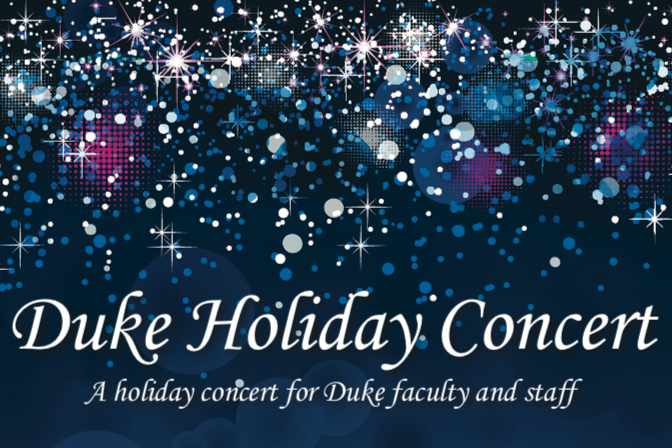 The Durham Medical Orchestra will perform a holiday concert for Duke faculty and staff on Thursday, December 6 at 11 a.m. in the Duke University Chapel. A reception will follow the concert on the Chapel lawn from 11:30 a.m. - noon. The first 300 guests will receive a free gift while supplies last. For more information, visit hr.duke.edu.